Get cashback on Live Casino games, twice! Go wild on the large selection of live tables at Betsson over the next two weeks. Play your heart out on the Roulette wheel or any other table as they will cover weekly losses with a 10% cashback, no wagering requirements and that two weeks in a row. That is up to €400 in cold hard cash, if your sessions don’t turn out to be lucky ones. Not to be missed! Exclusive for players and readers from Finland, Germany, Iceland, Netherlands, Norway, Peru, Poland, Sweden and Switzerland. 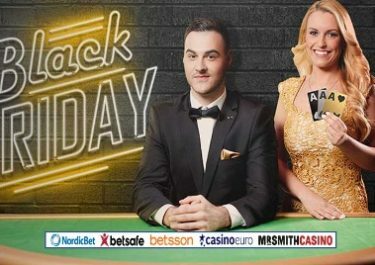 Sit down at Betsson’s Live Casino tables in the next two weeks and collect a generous cashback on net losses from each week. OPT-IN once on the promotion page before starting to play. 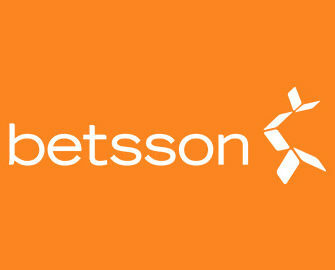 Betsson will award all qualifying players a 10% cashback on net losses in their Live Casino, up to €200 for each week. Net losses are determined as bets minus wins. To be eligible for the cashback offer players must wager minimum €10 in the Live Casino during each week’s qualifying time. The minimum amount players will be able to receive is €1. Cashback amounts will be credited as cash, no wagering requirements, every Monday by 18:00 CET. A qualifying game round in roulette for the purposes of this promotion is a bet round when player’s bets cover less than 70% of the outcomes on the wheel. Game rounds in which a player’s bets cover 70% or more of the outcomes on the wheel will not count as a qualifying game round. Terms and conditions apply. Launched in 2001, the casino is operated by BML Group Ltd. and holds MGA Malta and UK licenses. Betsson offers Sportsbook, Poker, Bingo, Scratch Cards, Games, Casino and Live Casino with games on desktop, mobile and tablet from acclaimed suppliers such as Netent, Big Time Gaming, ELK Studios, Jadestone, Microgaming, NextGen, NYX Interactive, ONgame, Play’n GO, Quickspin, Realistic Games, Red Tiger Gaming, Thunderkick, Williams Interactive, Yggdrasil as well as Evolution Gaming and NetEnt Live for their Live Casino tables.